The art and business of traditional screenwriting is changing. Screens now come in many shapes and sizes; content is more accessible and immediate. Despite these rapid changes one core element remains constant: a good story. 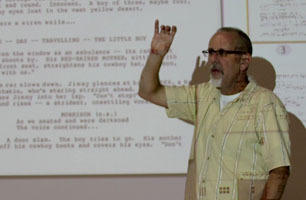 In the Portland area, Randall teaches screenwriting classes ranging from beginning to advanced. See Randall’s current class lineup. 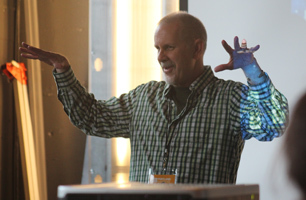 Randall also consults on film projects (documentaries and features) and provides individual critiques of scripts. His fee to read a screenplay of 120 pages or less is $300, and that includes a subsequent discussion, face-to-face or by phone. Questions? Details? Give Randall a shout at 503-806-5197 or randall@randalljahnson.com.